A process flow description. 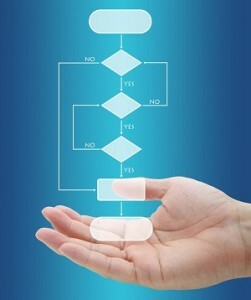 Computers run on algorithms or sets of instructions that describe the process flow in detail. The robustness of an algorithm is a measure of how well it accomplishes the purpose for which it is intended.